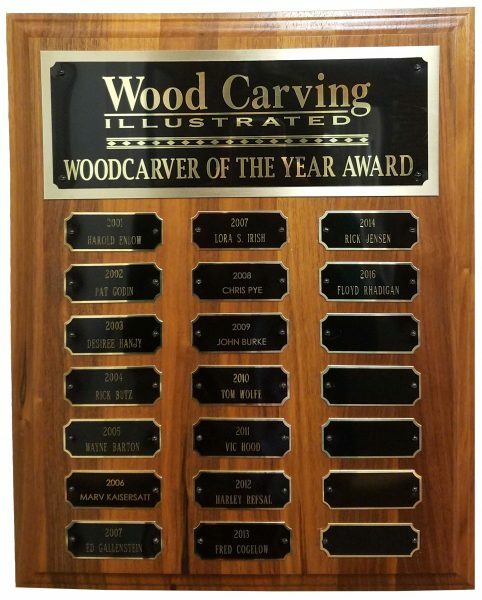 Vic Hood’s amazing realistic carvings consistently earn Best of Show awards, but it’s Vic’s dedication to sharing his knowledge and passion for carving that earns him the coveted Woodcarving Illustrated Woodcarver of the Year award. 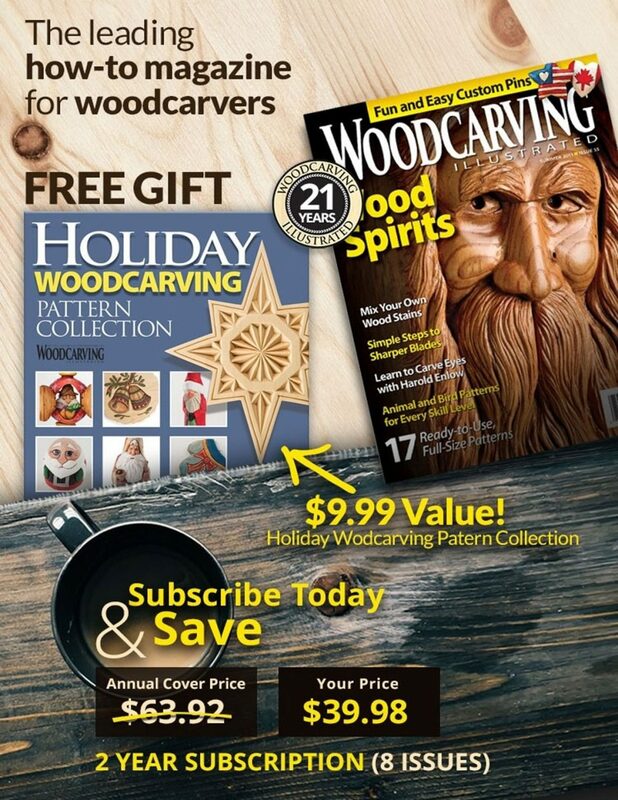 About that time, someone showed Vic a copy of Chip Chats, the newsletter of the National Wood Carving Association. He remembers being impressed that people could create such beautiful things out of wood. Then, Vic met the late John Burke, the well-known carver, instructor, and 2009 Woodcarving Illustrated Woodcarver of the Year. John saw something in Vic, and wrote words of encouragement to Vic inside a copy of one of John’s book that Vic had purchased. “Later, I found out that John called his wife, Nancy, and told her he thought he found a great potential woodcarver,” Vic said. John invited Vic to travel with him teaching classes. Vic helped John teach for about five years, and then John invited Vic to become the assistant at John’s workshop. 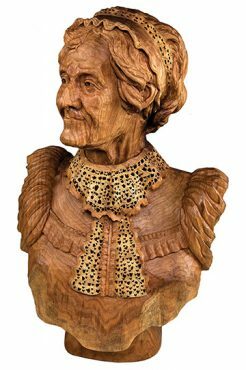 “John was the biggest influence on my woodcarving,” Vic said. John’s influence is evident in Vic’s teaching style. 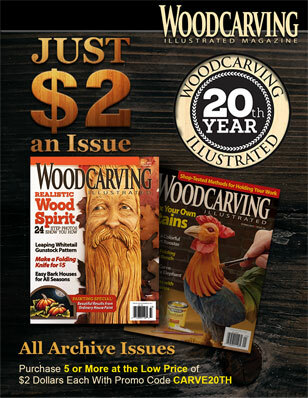 Both men are accomplished carvers, but like John, Vic’s primary interest is teaching. “I consider myself more of a teacher than anything else,” Vic said. 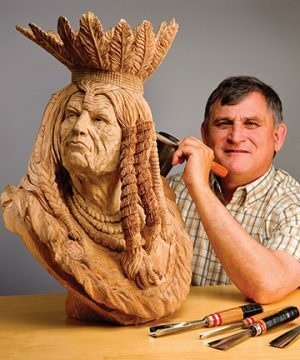 He and his assistant, Terry Brasher, teach approximately nine classes a year, most of them in large venues like the International Wood Carvers Congress and the Western and Wildlife Workshop. Larry Yudis, one of the Congress’s organizers, said Vic’s passion for teaching is the reason he is asked back year after year, even though officials try to mix up the classes offered at the annual Congress. “Vic is very knowledgeable in his main field of expertise, which is working with realistic human subjects,” Larry said. 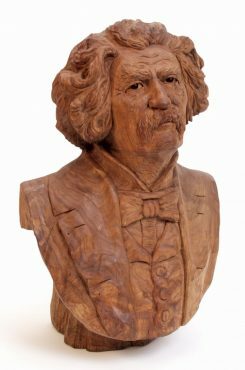 “When trying to convey a certain facial expression in a carving, you will find Vic mimicking that expression himself in order to give the student a visual to go by. You can see him grab a coat and hat in class and pose a certain way in order to get his point across about how a certain area of the carving should look. Another thing that amazes me is the fact that he can have eight, 10, or even 12 students in a class, all doing different projects and working at different skill levels. Vic can easily adapt to each situation without missing a beat,” Larry added. In addition to teaching, Vic continues to create his own projects. 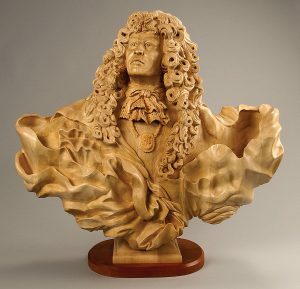 He has won the best of show award at many woodcarving competitions in the United States. Most recently, Vic’s carving titled Black Lung earned Best of Show at the Dayton, Ohio, Artistry in Wood show. CLICK HERE to purchase Vic Hood’s books.